JERK CHARCOAL – PERFECT JERK MIX – YEA MON! Most street vendors in Jamaica use this combination of charcoals to give that unique taste to their dishes. This charcoal is a mix of Pimento wood Charcoal, various fruit woods and Log Wood charcoals for all the authentic flavor of the island. It is also all natural. No fillers or chemical binders! Lump charcoal burns cleanly with no chemical after taste. 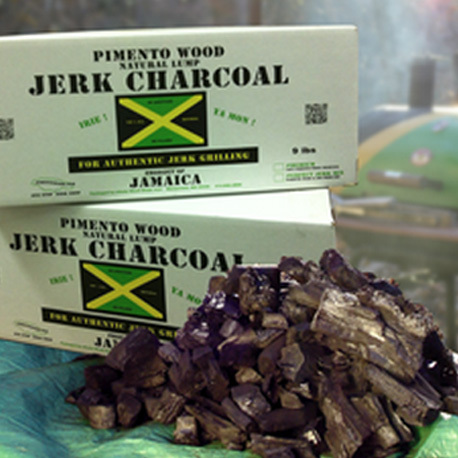 If you crave original Jamaican jerk, Pimento Wood, fruit and Log Wood charcoal completes the most authentic Jerk – straight out of the barrel- flavor!